T3 Hype is a weekly round-up of all the hottest tech news and releases. This week we have plenty straight out of CES 2017 from electric supers and home robots to a TV that uses its glass as a speaker and a drone that’ll fish underwater. 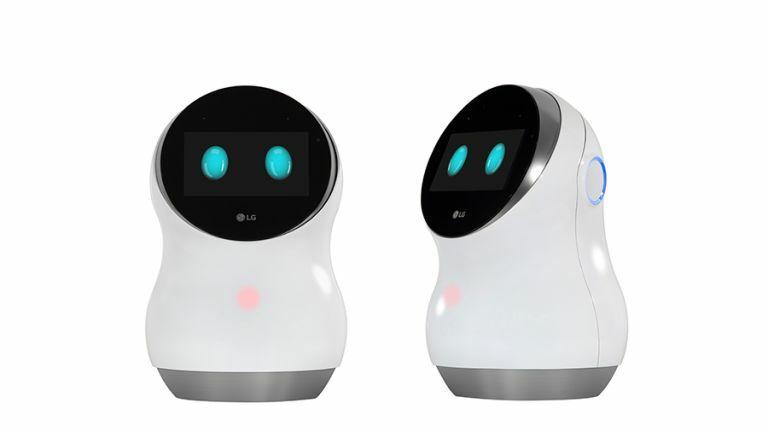 LG has taken the wraps of its smart robot for the home which aims to be your robo butler of the future. It responds to commands thanks to Amazon’s Alexa AI built-in meaning you can control home heating, lighting, music and more all with a voice command. The LG Hub robot also features a display that acts as a face for emotional responses but also as a useful way of showing information like fridge contents or a recipe while cooking. The bot even recognises members of the home and greets each person differently. The FFZero 1 is the electric supercar we’ve all been waiting for. Not only does it look like something from a bedroom wall of a 15-year-old boy in 2055 but it performs like one too. The pure electric concept car should be able to operate with full autonomy and features a smartphone built into the wheel so you don’t get bored not steering. It’s also fast with a 200mph+ top speed and 0-60mph time of sub three seconds. As drones go this one is pretty unique. Rather than flying in the air this delves into the water to help you go fishing. The PowerRay can be sent into the depths as you stay above water controlling it and viewing everything via a tablet or VR headset. The craft can reach 30 metre depths and stay out for up to four hours at a time. A fish luring light draws in potential catches so they can be drawn back to the fisherman’s rod. Technics has revealed a new direct drive turntable that sets the bar high for quality. A weighty well balanced turntable offers quality sound reproduction for vinyl enthusiasts. The Sony Bravia A1E features an OLED display that is so thin there was enough room to turn the glass front into the TV’s speaker. That means this slither of beauty produces 4K and HDR images with sound coming directly from the same spot. That also means the traditional stand isn’t needed so this has a kickstand instead more like a giant tablet. For the full list of stunning new tech from 2017 check out our CES guide round-up at the link.